Emiratis took to Twitter and Instagram to share their happiness after receiving a call from Shaikh Mohammad. 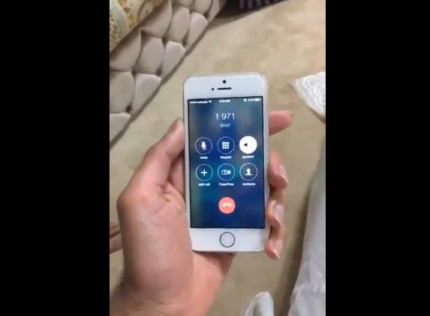 Dubai: UAE residents were ecstatic after a surprise call they received on Friday and Saturday. It was a National Day call from His Highness Shaikh Mohammad Bin Rashid Al Maktoum, Vice-President and Prime Minister of the UAE and Ruler of Dubai’s himself. The call that came from the number 1971 was a pre-recorded message from Shaikh Mohammad wishing them on the occassion of UAE's 47th National Day. Many of them took to Twitter and Instagram to express their joy, with screenshots of the call. The call that came from the number was a pre-recorded message from Shaikh Mohammad. Want to hear the call? Celebrations for UAE's National Day kicked off across the country on November 29.